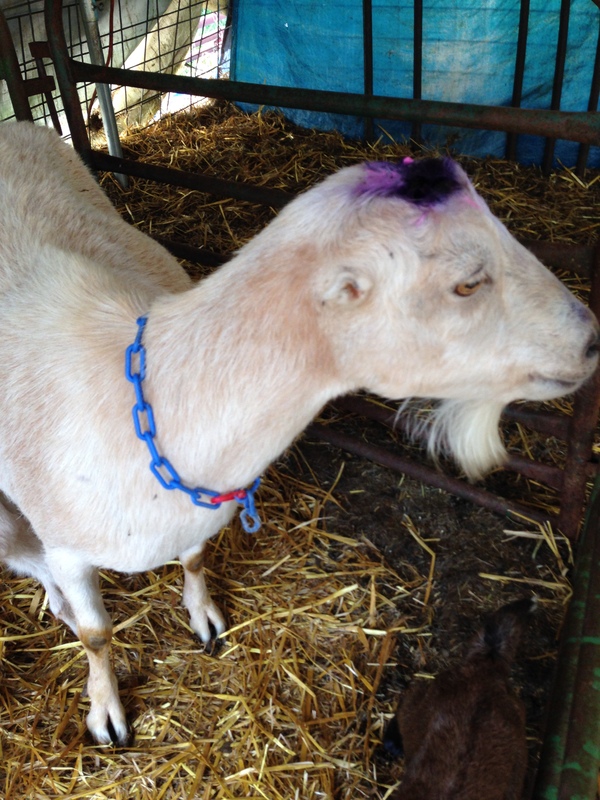 Having learned the hard way many years ago, I always keep a goatie family member for every goat (among the girls). No one in the paddock doesn’t have either a mother/daughter or a sister there at all times. I don’t know if it’s documented, but in a herd as small as ours, the odd girl out gets picked-on mercilessly, and constantly. It’s painful to watch, and dangerous. 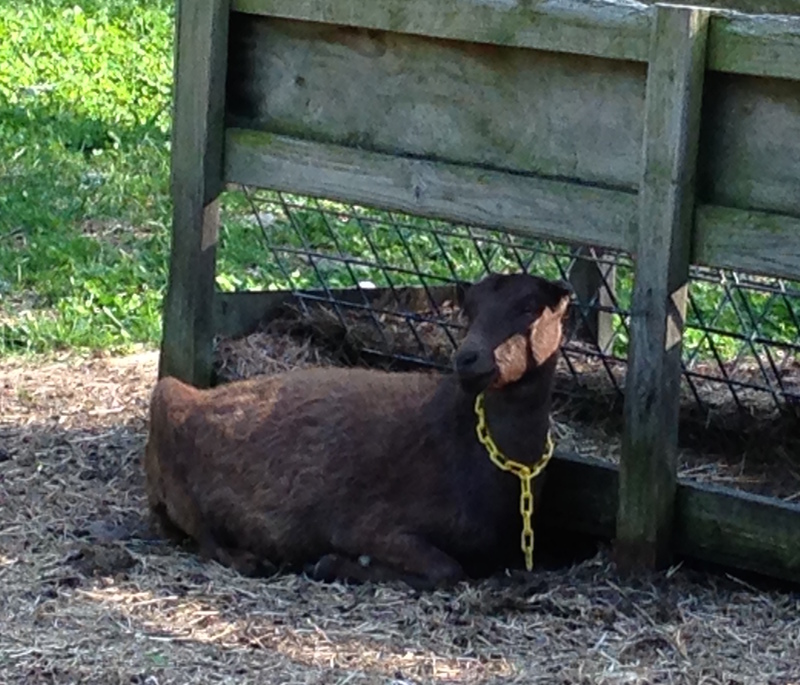 The recipient who is chased around the feeders and bounced off fences is not a happy goat, and we want happy goaties. Beezus looking around before going into the grain feeding catch pen. My little plan backfires, however, when one of the companions has new babies. This is the situation right now for our girl Pippi. Her yearling, Beezus, is now not even welcomed by Pippi herself (and Beezy wasn’t big enough to be bred last fall). I know that this, too, shall pass, but it bothers me. And the other goats all notice; no moss growing on them! And they then pick on her as well. 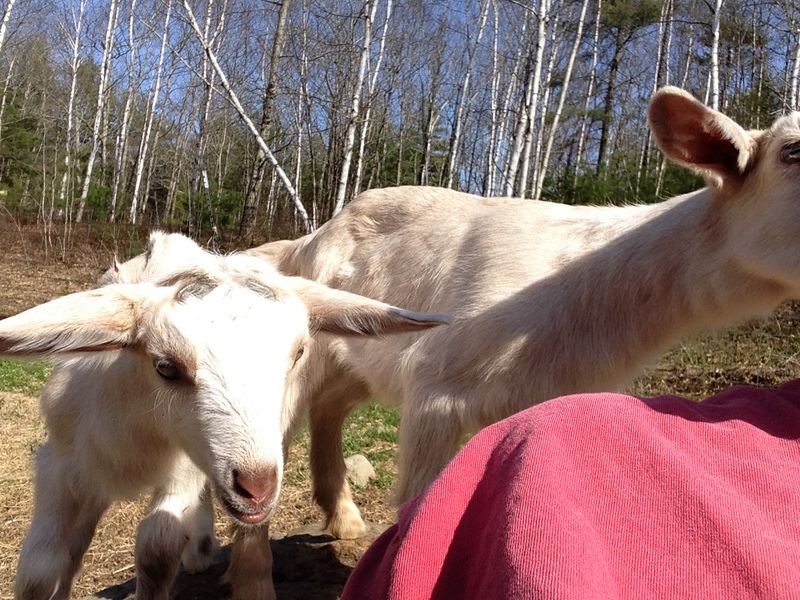 I had to intervene the other afternoon when Zelda was pursuing Beezy around the pen. Zelda would just not stop! Pippi’s babies are not destined to hang around. They will probably go to freezer camp late in the fall, or early winter. But while she is nursing them, there will be no peace for Beezus. Sad goatie girl. She sits alone, and has to watch her back. Sigh. 11 or 12 weeks until weaning isn’t the end of the world, but it definitely gives me one more thing to watch over. We now have enough green on the trees and on the ground that it actually looks more like spring! Doesn’t feel too much like spring right now (it’s in the 40s), although they are saying tomorrow might feel almost like a warm, humid day. I love this period in spring when all the trees are a different shade of light green, some have blossoms, and some are red-budded. Of course, my tree allergies are terrible right now, but it’s worth it for the warming up/greening up to finally be here. Yesterday I set up some fence panels that allows the girl goatie group access to the back paddock, which is lush with all kinds of new clover and grass. The access is gated, and we only let them in there for an hour or so late yesterday afternoon. I gave them their full morning hay and grain ration this morning, and this afternoon I let them in there again. The babies had an awful lot of fun running down the access lane and back. They have become a little baby herd unto themselves, finally. I shall have to try and get a video, they are ever so cute. 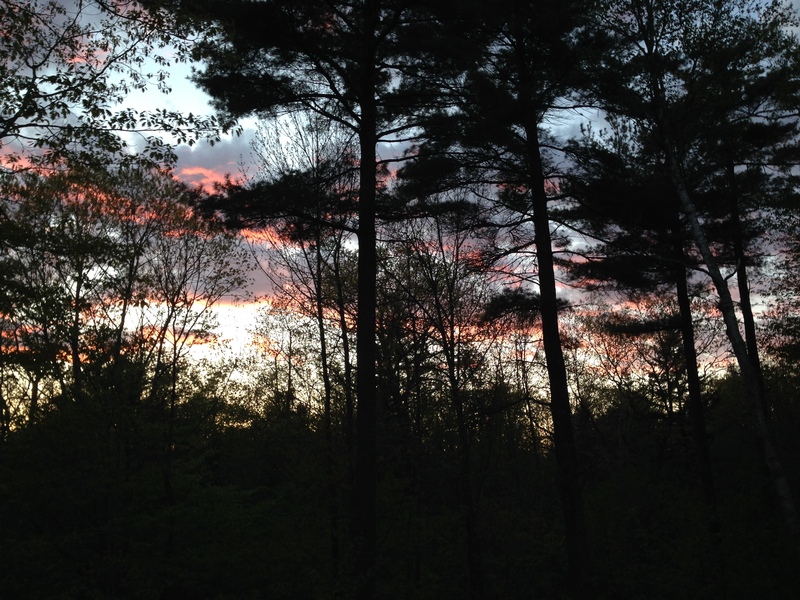 The early morning and sunset skies have been compliantly dramatic and beautiful. I seem to have more photos of that on my iPhone than anything else these days. When I go back to work on Tuesday we start the big end of year countdown. 4 weeks to go, with a million things like graduation and book fairs all rolled up in there. I am definitely enjoying the quiet of our 3 day weekend. Today we had another visit from the vet, and it was a beautiful afternoon for it. Pippi’s two little Mother’s Day kids needed the disbudding treatment. 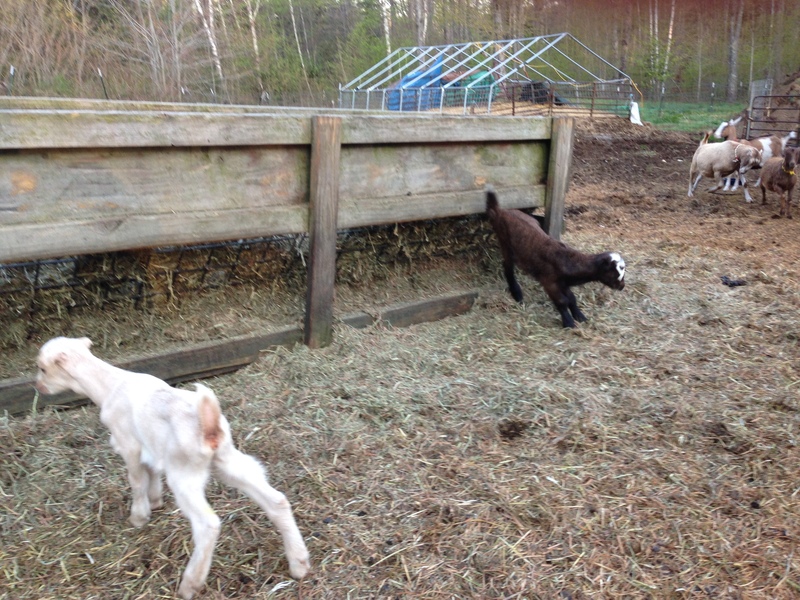 Their little horns had not sprouted as quickly as the earlier babies’ had, so we have been keeping Dr. Greenlaw posted. 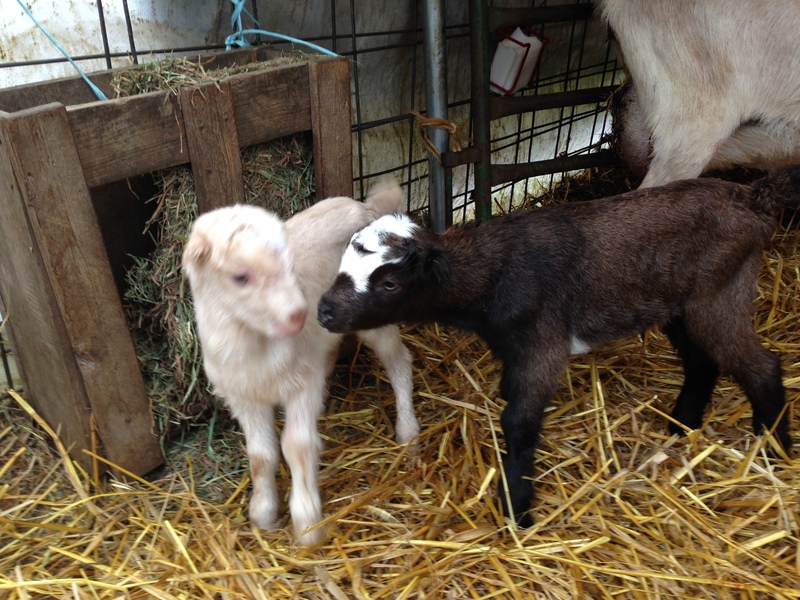 Today was the day, and even then, I wasn’t sure that the little doeling was ready. 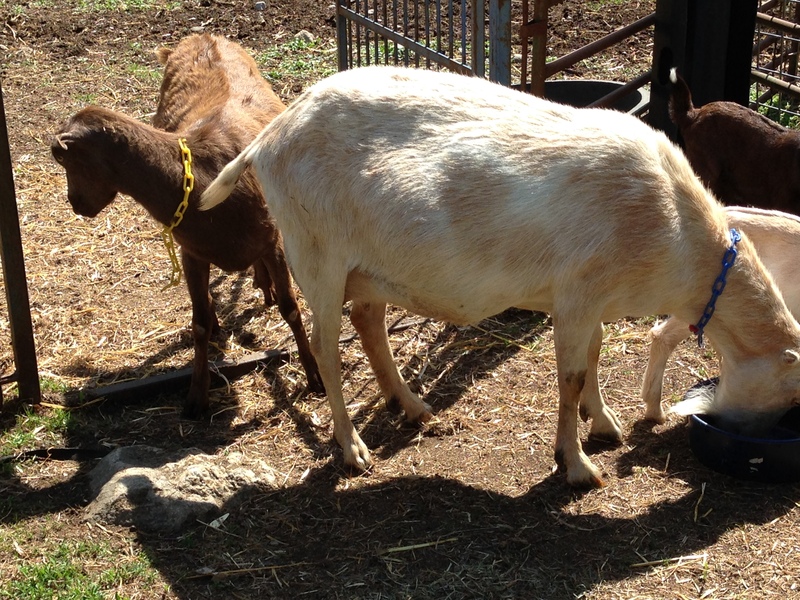 We keep tabs on how the horn buds are growing, and hers have been barely perceptible. In the last few days, however, they did begin to blossom. And thankfully, both were good candidates. Dr. Greenlaw’s approach is very calm, and they get an anti-inflammatory shot and a tiny bit of sedation, plus a block around the horn buds. No struggling and screaming is a good thing for everyone! Then they get their tetanus anti-toxin shot, and all’s good. 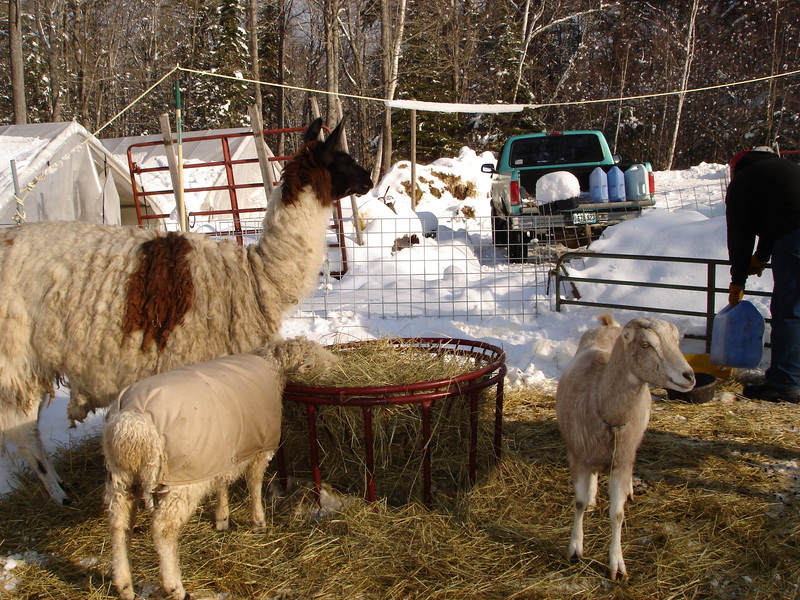 We don’t put them back into the pen with the others until they are alert and ready to roll. The doeling didn’t take long to come around from the sedation and she screamed in my ear and struggled so hard to get back to mama that I almost lost hold of her. She is a little tiger in a goat kid’s body, that one. Is beginning! Even though it doesn’t feel like almost summer right now, 50F and drizzly and foggy. We desperately need the rain, as the snow melt goodness has long gone. This was probably the easiest mud season in the paddocks that I have experienced since living here. Since the babies have all come and are thriving and doing well, now it’s down to business. I spent a lot of the weekend moving green panels. One of our greenhouses, the one that looks like dinosaur bones hanging out up on a rise, needs to come down. The supports are sliding off the pad that John put down many years ago. (It was never wide enough to really do the job, and as we have found to our dismay, even on a flat, hard gravel pad, the supports splay after a few years which makes the covers tear, and the zippers break, etc.). If we put it up again, it needs to have a frame for the supports to fit into so it can’t sag with age. 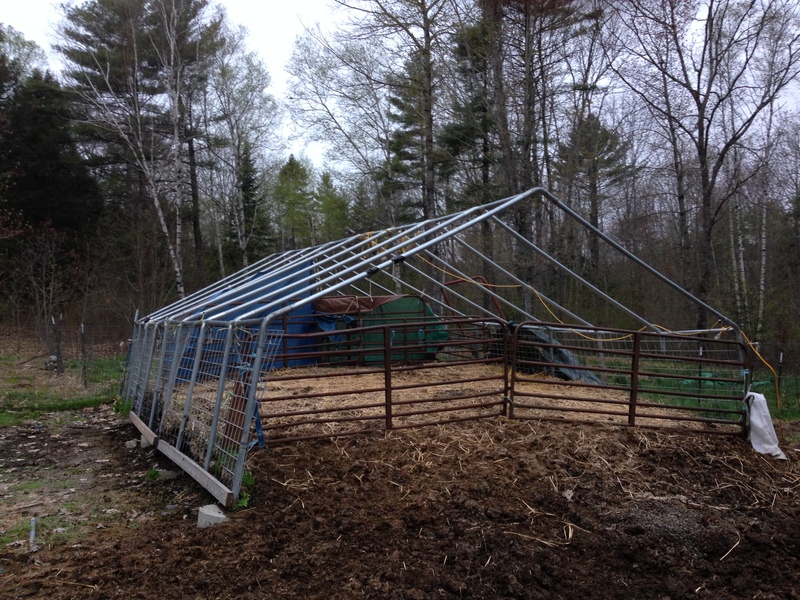 I had to block it off to the goats for now as I don’t want the babies going up there and jumping over the side panels into the lower paddock, 8 -10 feet below. I keep hoping that I can get some kind of a real building going, and soon! Have to get planning on that one and toss around for someone with knowledgeable help. Builders we are definitely not. I always have a list a mile long of things to accomplish over the summer, and this year is no different. The last day of school is Friday, June 19th, and then the work begins. The one guaranteed thing that goes along with the warmer temperatures: the Black Fly contingent. It is a sure thing during the month of May. What a pain! We welcome the breezes at the farm, and today we had something of a nice, breezy afternoon. I had some good times with the kids, and we were able to get a few things done in the garden as well. John and I went to our favorite garden center late morning and came home with some tomato plants and a few herb plants. I potted my new thyme plant, which was good. And now we ask for: No more frost please!!! I have been concerned about Pippi for the last two days. She hasn’t been eating enough to suit me, post-partum-ly speaking. So every afternoon I have been giving her vitamin shots, taking her temp, and weighing her babies. All good. Babies gaining weight, Pippi doing fine on the whole. I was on the lookout for mastitis or milk fever, and can’t really come up with anything really wrong with her. She is symptom-free, except for the food she leaves. 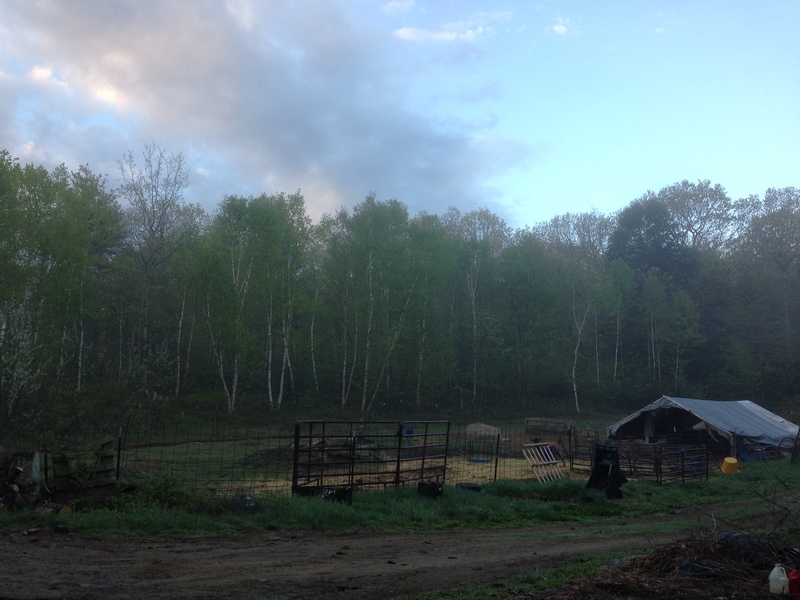 (To give her credit, the blackflies are horrific, it was really hot on Sunday, and she had no freedom of movement out of the jug). (In the video I forgot to take the bucket away that I had used to weigh the kids!) Pippi absolutely hates to be penned. 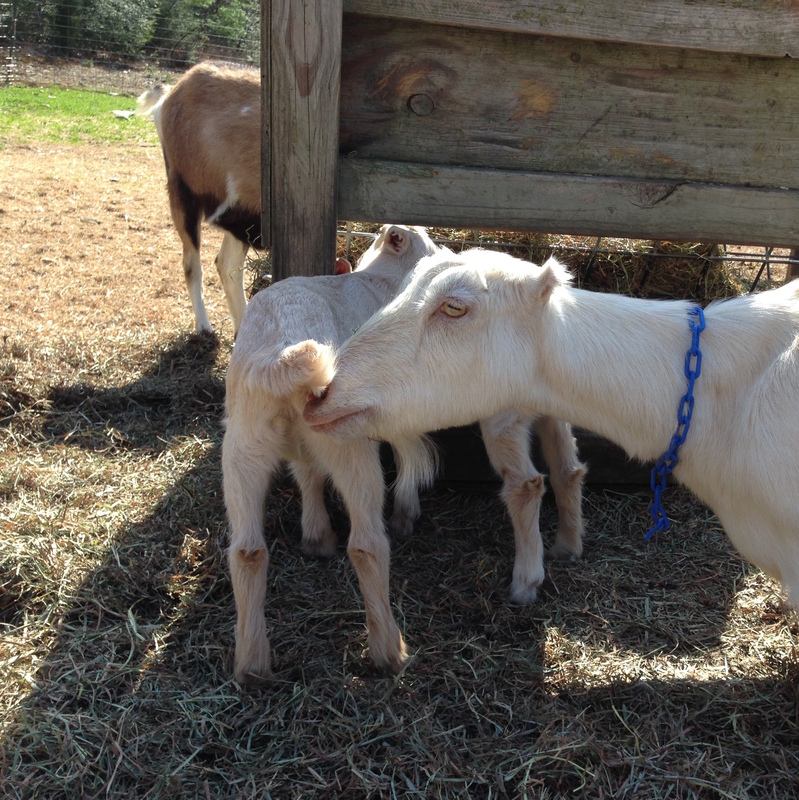 She tore open her head over the bony part where her horns would have been by butting the fence too many times when other goats came around and got too close, stared at her babies, or maybe lusted after the grain she had not eaten. So I had already wormed her, and this afternoon I let her and the two beautiful babies out. We shall see what happens! I think she will be fine, but I am keeping an eye on her. We don’t want problems, that’s for sure! To all our feeling down about our Zorro. She went and had her kids early this morning. I was figuring she wouldn’t be kidding until sometime today, but she loves a good surprise. 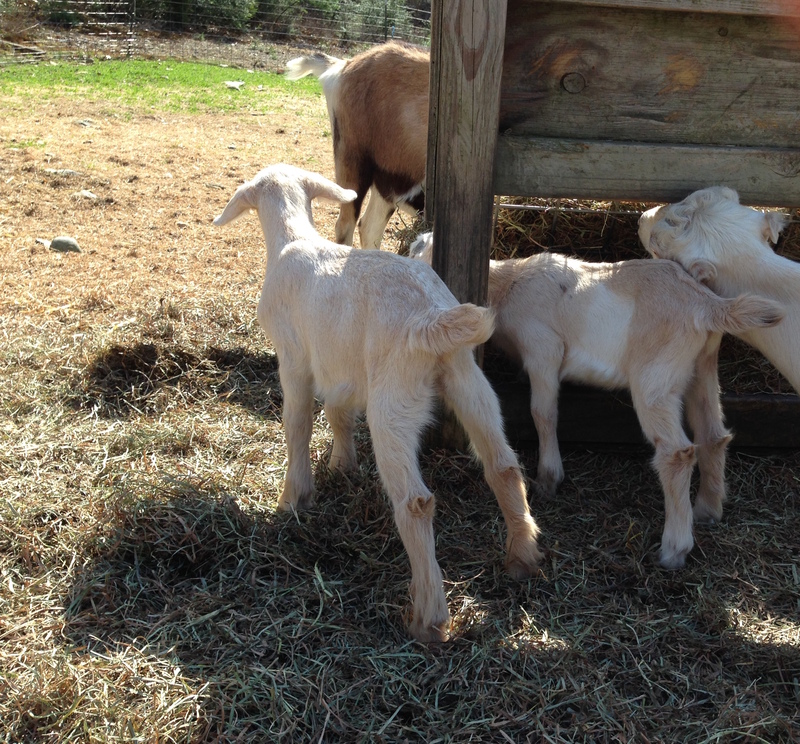 Brown/black buckling with a blaze, and a doeling that could be a twin to SnowPea’s Sassafras. 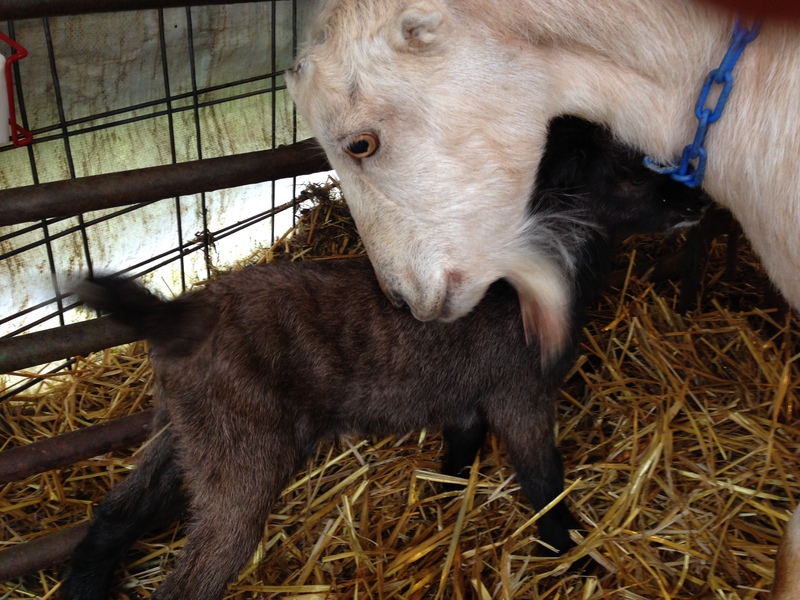 Both of them are good and strong, the doeling is 7 lbs, and the boy is 9. Wow. The cuteness quotient has gone up considerably overnight! Today the temperature soared, and we went for a load of hay. I am still feeling the effects of the workout in the heat. It frequently happens that way, unfortunately. My older son graciously offered to help with the unloading, which was an enormous help! This evening our boys took us out for dinner down in New Harbor, where we ate out on the deck of a local restaurant, right on the water. Heavenly! Breezes off the ocean, sunlight, and lovely family. Great end to a busy weekend and a lovely way to spend Mother’s Day! Our llama. Our best guard guy. Died yesterday morning, due to what, I am not sure. Possibly old age. He was 16 and was slowing down a bit, but we didn’t see any symptoms in him. I went out yesterday morning to do chores and found Jingle the Donkey on the other side of the fence, bent over with her muzzle to the fence line right where Zorro had fallen over. And there he was. 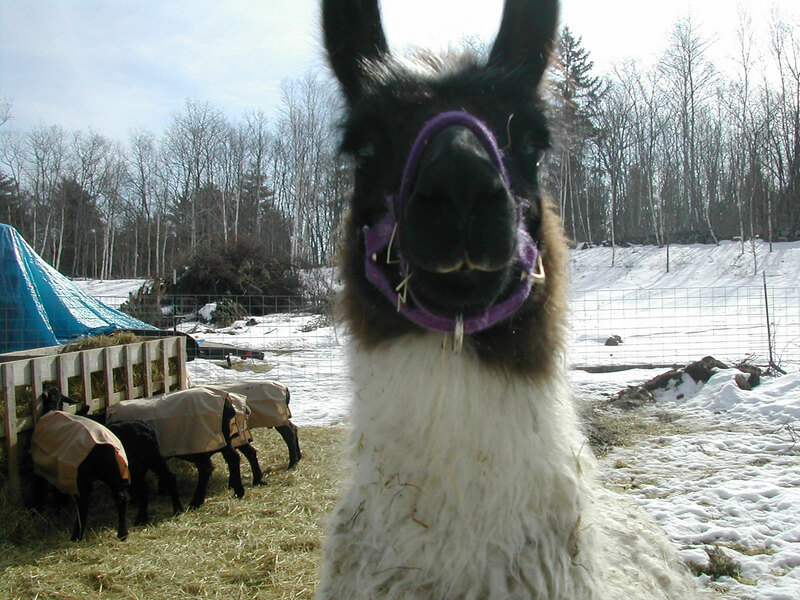 So my husband got him buried, and we are now without our sweet Zorro the Llama. RIP Zorro, we will surely and definitely miss you and your sweet ways with the kids, the lambs, and with all of us humans. As well as your awesome skills in keeping the coyotes away. I don’t have much jiggity jig in my step, however. My husband and I had to make an emergency trip down to NJ because his 90 year old mother was unwell and we really didn’t know what the outcome was going to be. So off we went, really early on Sunday morning, and blasted down. 7 hours driving with a quick stop or two. My hips and back don’t do so well on long travels anymore, but it wasn’t too bad as we were able to share the driving. And the traffic even in the suburbs of NYC is so bad these days, we had massive culture shock! My mother in law is now on the mend and we came north yesterday. 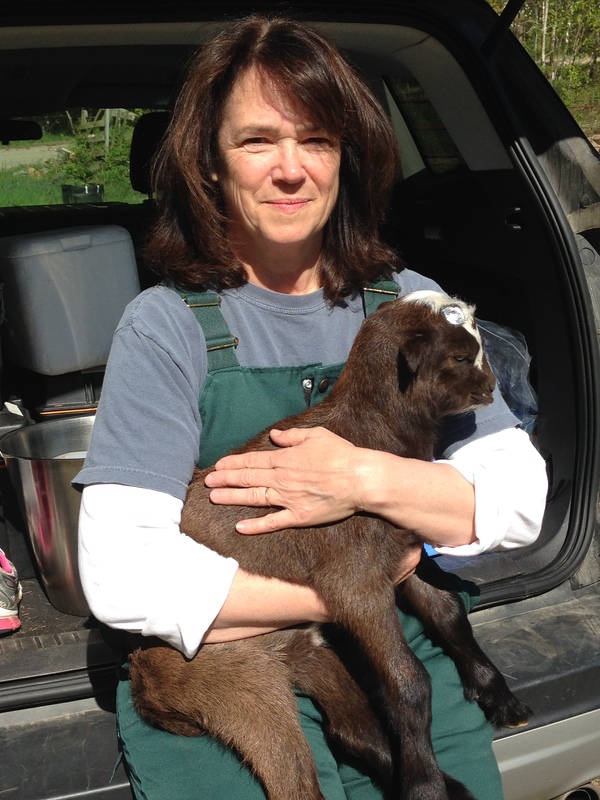 My older son had been taking care of the goaties, and a friend of ours did the pigeon care. 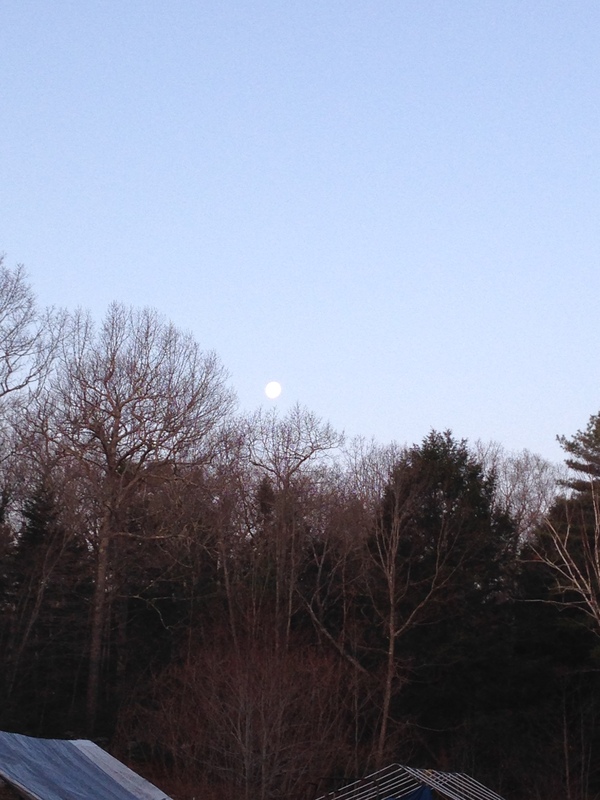 It was a total relief to be home, and when I got outside this morning I was wonderstruck by our peepers, the quiet, and my very own slice of Maine sky with the moon still hanging there. What a relief! Pippi is warming up for her big event, but I believe she is still a few days out. I am looking forward to spending some time with her as she gets closer to kidding day. 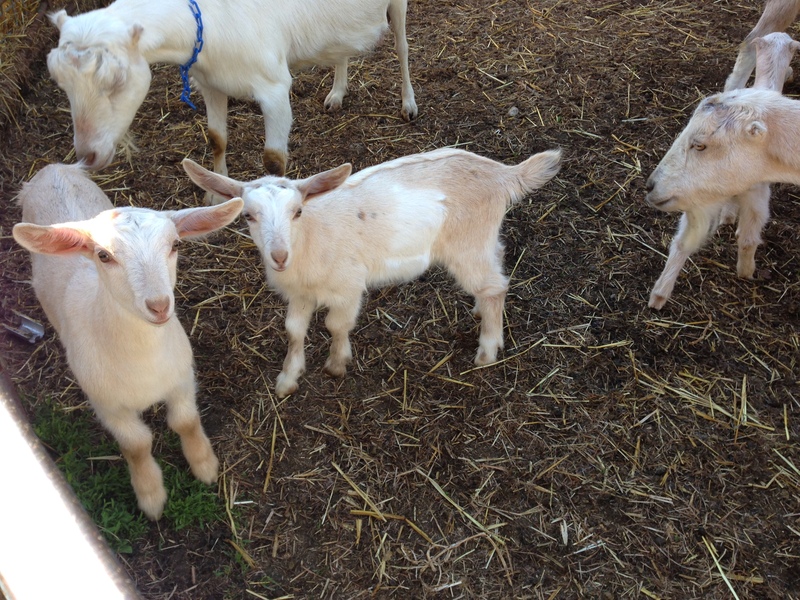 SnowPea’s babies are on a tear around the paddock, and can always be found out by the big rock. They allowed me to take a “selfie” of them looking over my shoulder. And then mama called them over to the feeder and she asked them to hang out by her for awhile. Okay, Mom, we won’t go far! And then tonight was our monthly spinning/knitting group. Great laughs with some wonderful women. Can’t get much better than that! What an amazingly great day.